Cats are great pets. They are closer to human beings because of their small size and cute behaviour. These are Sorrento Music boxes with spectacular figurines of cats and kittens featured on them. All the figurines represent very amusing scenes of still life. The scenes are crafted with meticulous perfection. 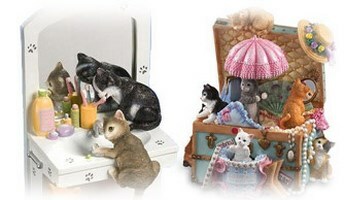 All the cats and kittens and other objects in the scenes pictured are fashioned in an extremely charming way. These great Italian art pieces are handmade. 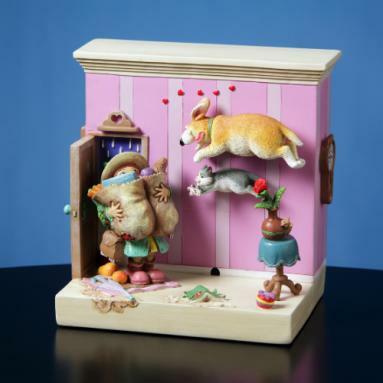 The music boxes will impress the cat lovers and children immensely. That is why they can serve as enticing gift articles.